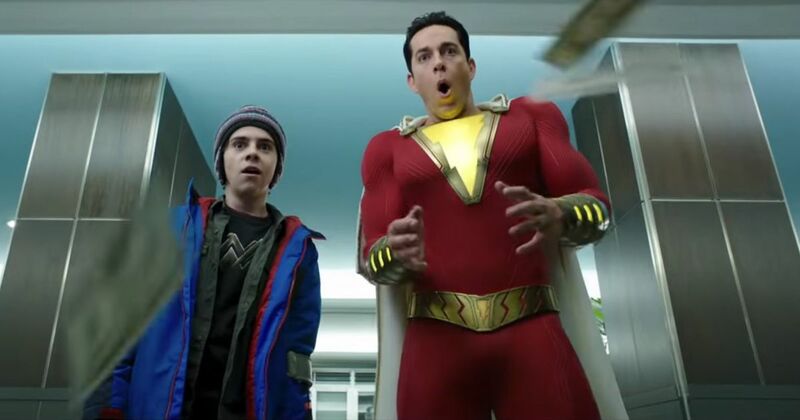 While the newly released Avengers: Endgame trailer is sure to eat up all the attention today, the ever-intrepid Shazam! has a fresh one available as well that debuted yesterday in China, one that comes loaded with new clips of everyone’s favorite adult superhero with a teenager’s mind. More of Mark Strong’s big bad Doctor Sivana can be seen/heard, the jokes are on point and…is that John Williams I hear near the end? Somehow an improvement on the excellent trailer seen last week, Shazam! still looks like an exciting, delightful ride, another showcase of how DC has at long last righted the ship and pointing directly towards a very bright future for the studio. Shazam! makes his debut on April 5th, though Fandango is currently offering the opportunity to see the film early on March 23rd.